MICHELLE`S COLOR RETENTION ADORE SHAMPOO adds moisture and shine to thirsty, color treated hair. Preserves and protects hair color. A multitude of peptides and nutrients restore hair`s youthful condition. 100% Vegan, Sulfate & Paraben Free. Color-safe. Not tested on animals. Rich in Shea Butter & Hibiscus for maximum color retaining after Keratin Treatment care and anti-aging results. Contains Certified Organic Extract. 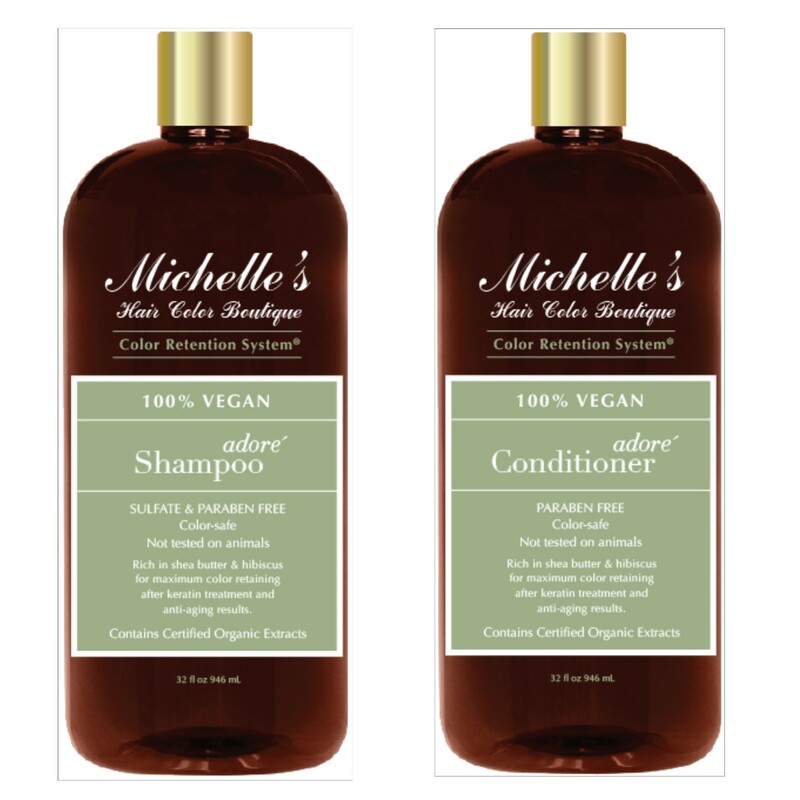 MICHELLE`S ADORE CONDITIONER preserves and protect color. A multitude of deep penetrating peptides strengthen the hair shaft, replenishing the appearance of youthful hair. Vitamins and minerals smooth and seal the cuticle to lock in shine. Paraben Free. Color-safe. Not tested on animals. Rich in Shea Butter & Hibiscus for maximum color retaining after Keratin Treatment care and anti-aging results. Contains Certified Organic Extract. Moroccanoil®, our passion is empowering beautiful transformations. 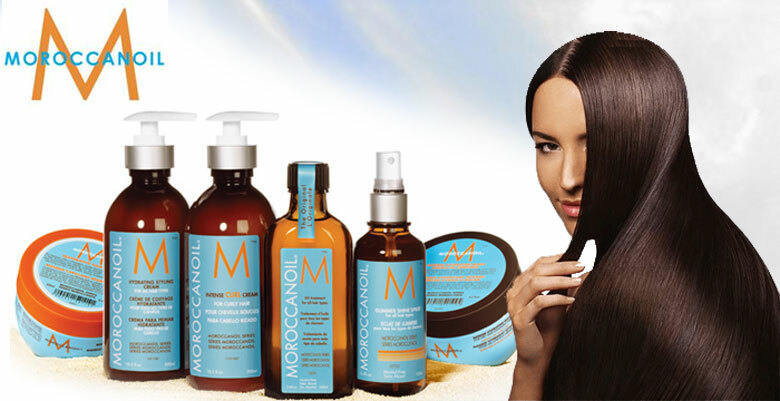 We started with the original Moroccanoil Treatment which revolutionized the haircare industry. We built our reputation on positive word of mouth from runways to salons to editorial spreads. Our antioxidant infused, nutrient rich, innovative formulas are unmatched and provide dramatic results. That is why salon-exclusive Moroccanoil® is preferred by professionals and consumers alike -- because our products simply work. Savannah Hair Therapy offers a complete range of hair care products with all natural Shea Butter that penetrates deep into the hair and scalp to moisturize, prevent breakage and smooth the texture and appearance of dry, corse or chemically processed hair. 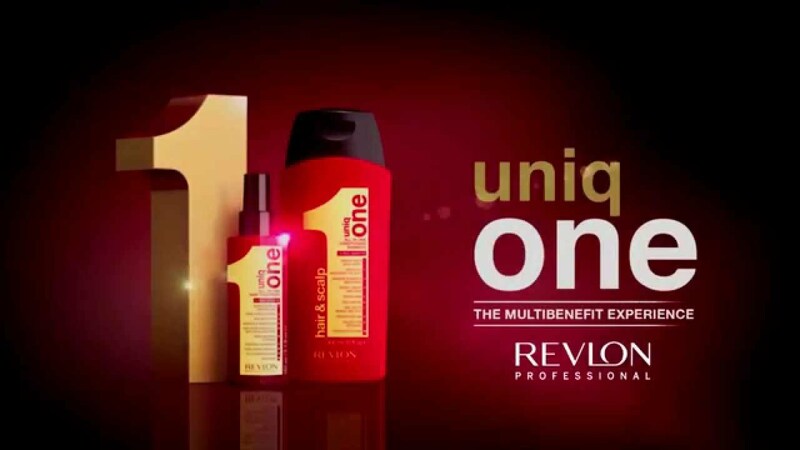 Unique One All in one Hair Treatment is a leave-in hair treatment spray which gives a host of benefits to all hair types. A unique concept in hair care, this spray-in treatment provides 10 benefits to all hair types, from shine and frizz control to clour fade protection and UVA/UVB protection. Uniq One All In One Hair Treatment adds shine to the hair and controls frizz whilst adding silky smoothness and enviable body and volume. 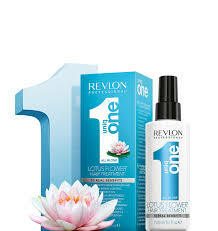 Uniq One is a great detangling spray and enhances styling possibilities and manageability. 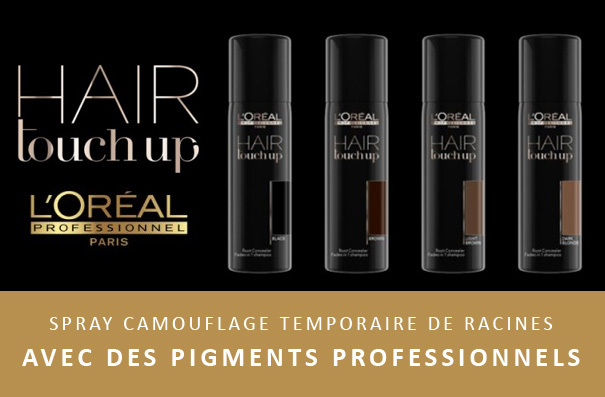 L'oreal Professional Hair Touch Up temporarily covers grays in between salon visits. The concealer contains professional makeup pigments to blend naturally with any hair color and the precision applicator helps to target specific areas for coverage. 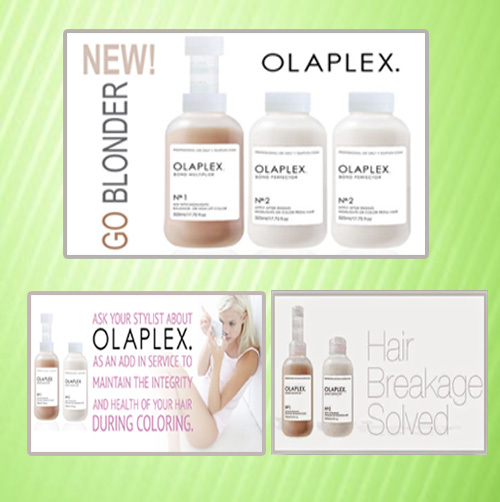 Olaplex is a hair repair treatment. Olaplex claims to reconnect broken disulfide sulfur bonds in the hair. The treatment is labelled a "bond multiplier", which limits damage to hair during or after colouring. The active ingredient in Olaplex is a compound called Bis-Aminopropyl Diglycol Dimaleate. Your current hairstyle may be a perfect fit for your present lifestyle... but does it fit the bill for the job you're looking for? If you're not sure, maybe it's time to think about if your shiny super-glued 6-inch quiff says rock-star, or executive wizard. Because, like it or not, your outward appearance can affect your career goals---it's a jungle out there, and corporate culture continues to lean towards conservative and clean-cut when it comes to men?s fashion. Worried about what hairstyles to rock in a given workplace? Never fear, here are our best tips for matching your look to your job. American Crew continues to lead the way in the men's grooming business. With a passionate commitment to men's grooming, our purpose is to bring men into salons, provide them with a great new experience and show them new ways of incorporating style into their everyday lives. michellesaloninfo@gmail.com • 619 2nd Avenue, New York NY 10016 • 1-212-251-0060 • All rights reserved.